The ibis budget Augsburg City offers plenty of comfort at an attractive price. Completed in Spring 2010, the hotel was planned and designed by renowned architect Professor Dieter G. Baumewerd from Münster. From the outset the intention was to enable guests to stay in rooms where they feel comfortable and that provide an high level of peace and privacy – despite the low price. This is achieved using the most up-to-date technology, making the building a model for lasting, environmentally-aware construction, while simultaneously increasing guests’ comfort to the highest levels. Micro-organisms such as fungi, mosses and germs are decomposed. The surface of the building is self-cleaning: rather than running off, water infiltrates the dirt as a thin film. Self-cleaning in this way is the most environmentally-friendly form of building maintenance. Even vehicle exhaust fumes and industrial steam and odours are destroyed by the chemical processes taking place on the outer surface of the façade. The 1000 m2 Hydrotect façade (the approximate size of the outer skin of our hotel) cleans the air as effectively as 70 medium-sized deciduous trees. The hotel was the first in Augsburg to use an electrically driven heat pump, which enables the building’s energy consumption level to be significantly reduced. ibis budget is the Accor brand of one-star hotels and is the European market leader in the budget sector. 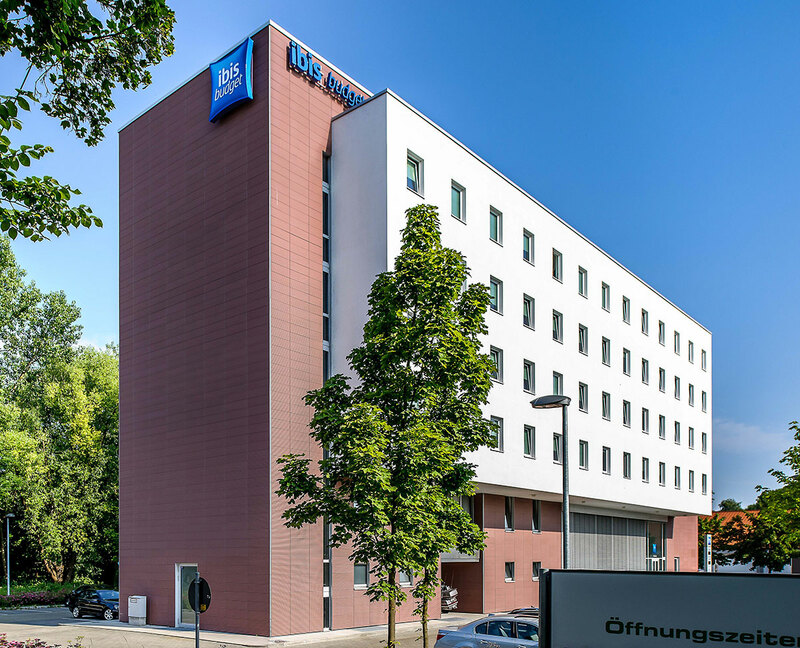 ibis budget offers price-conscious guests 370 locations in Europe, 70 of which are in Germany – an extensive network of modern, high-quality hotels in city centres, at major traffic intersections and near airports, with very low prices. The low budget brand has locations in ten European countries as well as South Africa, Australia, Brazil, Indonesia, Japan and New Zealand. Every room has a shower and toilet. 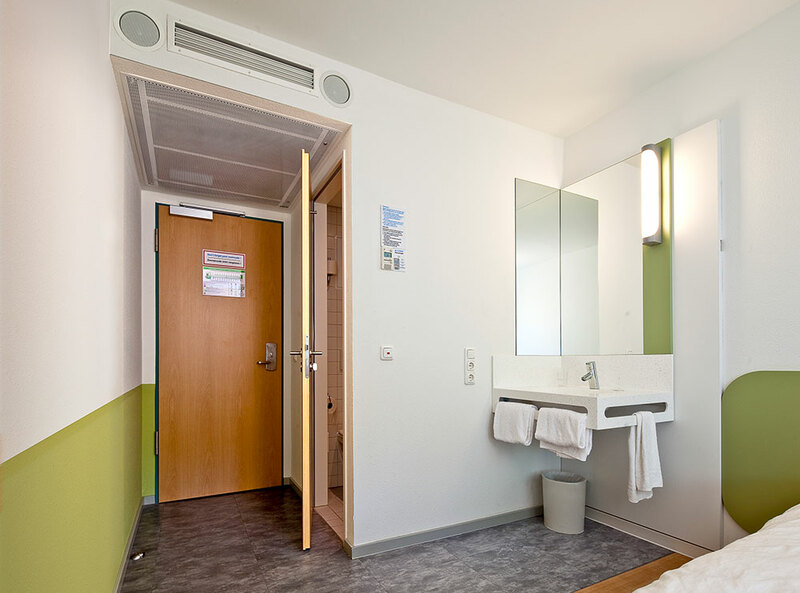 In Germany every room has had free WLAN since November 2008.
ibis budget was awarded the ‘Janus du Commerce’ in 2009 for its commitment to better quality of life.